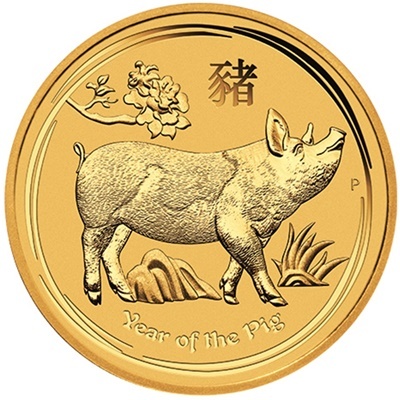 The Australian 2019 1oz GOLD LUNAR PIG - Series II coin is issued by the Perth Mint in Western Australia and stuck to a very high standard and finish. The coin contains 1oz of 99.9% fineness GOLD and is housed in a protective capsule to keep it’s proof like quality. This years coins have also been produced in a larger diameter than series I coins, so are entirely different. The first Lunar series proved to be very popular, so the Perth Mint took the decision to start a second series - and this is the Eighth of the 12 year cycle.